Sixty students have commenced studies at the Nyabihu based Rwanda Coding Academy,in a 3 year program that comes to face cyber security threats among other contribution to the digital world. 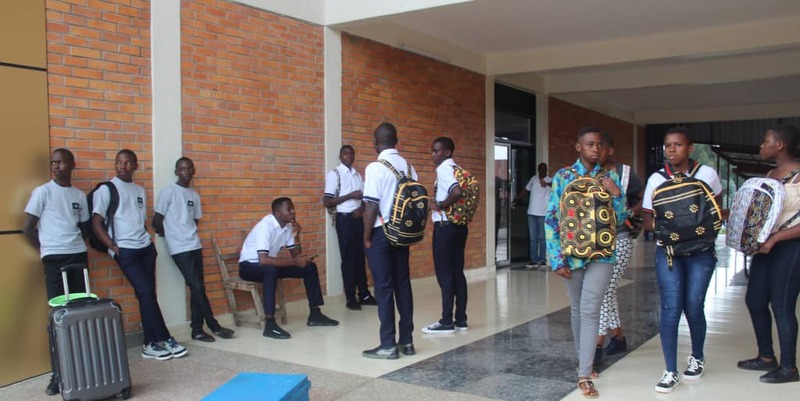 The students who arrived at the campus on February 3, 2019 include finalists of senior 3 – commonly known as Ordinary level in Rwandan education system that scored higher grades in Mathematics, Physics and English in 2018 National exams. The key criteria in selecting students started in November last year and was based on best score marks and passion to study coding at an early age, according to officials in Ministry of information and Communication Technology. Courses kick-off today – February 4 and they include cyber security, Software programming and embedded programming. With a motto ‘Born to Code’ the Rwanda Coding Academy was purposely built in Mukamira sector, Nyabihu district, Western Province due to the region’s favorable education environment – away from the distractions and a temperate climate. The Rwanda Polytechnic official website indicates that students are categorized as a hybrid of both Technical and Vocational Education Training (TVET) and general education. “Students pursuing the 3-year course will be qualified as software engineers and will have adequate skills to be absorbed into the job market” part of the statement reads. The mission of the Rwanda coding academy is to train young talented and gifted Rwandans in software programing, promote quality and excellence in coding skills and to position Rwanda as software development talent hub. Recently, Gordon Kalema Director General in Ministry of information and Communication Technology told KT Press that students were given full scholarships. Upon completion of three years of training, students will be awarded A- level certificate before being dispatched in different ICT organizations for employment. “Rwanda Coding Academy, aims at reducing importation of ICT experts in the country,” Kalema told KT Press in a previous interview. Construction of the Academy was fully funded by government of Rwanda at a tune of Rwf500 million.